Indonesia is the big archipelago nation. Indonesia also has more than 70% habitat of rare animals such as Chimpanzees, Cendrawasih bird, and a few rare plants such as Rafflesia Arnoldi and a few rare specimens of Orchid. However, even though this nation is so rich with his heritage and culture. Those things don’t make Indonesia as a rich country and only categorized as a grown up nation. However, there are something special in this country that is a seizure for many countries. What can make a nation disputes for one thing? Well, it’s the secret recipe of this country famous food. That’s why this day I will bring up a list of a few famous Indonesian food in the world. Check it out! 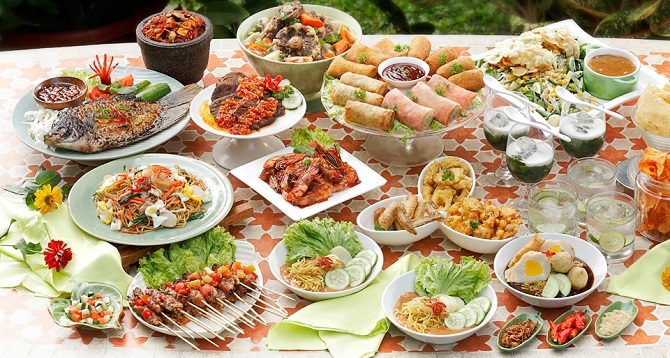 There is a few reason why Indonesian food can be much more delicious rather than the other countries food even though that food has a similarity to Indonesian food. You know why? It’s because Indonesia is a country that has a lot of herbs and spices and that’s what makes Indonesia foods taste different with the other foods. Do you know a lot of people in around the world agreed to call Indonesia is a paradise for a food lover? Do you know why? Well, it’s because there are tons of traditional foods in Indonesia with unique spices and taste that they never felt before. That’s why Indonesian traditional food becomes so popular all around the world. Who doesn’t know food like Rendang, Soto, Satay, Nasi goreng? Who doesn’t know about those foods? All of those foods already become so popular because of their taste. Do you know even a supreme nation like Japan already take over one of most favorite food from Indonesia called “Tempeh” they claim that “Tempeh” is one of their traditional food? Well, even though Indonesia is a high tech and just a growing nation. The techniques of the food making in Indonesia is what makes the foods in here taste much more delicious rather than the other country. 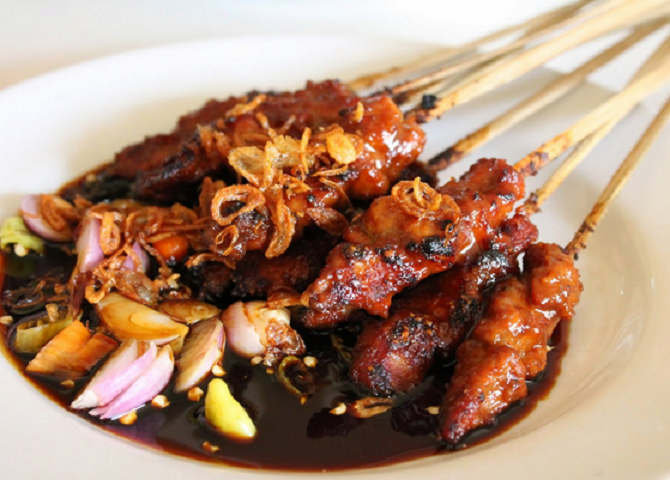 Here are the list most delicious foods in Indonesia. The way this food made will make you remember of one of the most famous foods in America, Steak. However l, there is a slight different between satay and steak. The usage of tools and ingredient is the main differentiation and the biggest differentiation is the spices on this food. Nasi Goreng or Fried Rice. Indonesia is a nation with a higher level of creativity. There is nothing that could be a waste in here and the most solid prove is the existence of fried rice. Maybe that day the reason why people make a fried rice because they want to make use of the leftover rice. However, these days fried rice is made because of its delicious taste! Even though has an ingredient and color that really similar to steak. Rendang is really different with steak because this food using so many spices like coconut milk, spices, chili and the important thing is beef or a lot of beef! Do you know? Rendang already nominated as the most delicious Indonesian food. Well, I think my article today about famous Indonesian food is enough. Thanks for coming to my website today. I hope my article today can help you to know more about Indonesian food. See you in my next article and have a nice day dude.